SAVANNAH, Georgia -- A dozen Romantic Inns in Savannah encourage St. Patrick's Day revelers to explore beyond the sea of emerald green commercialism, Kiss Me I'm Irish, green grits, green donuts, and beer-on-the-run for more Irish heritage. 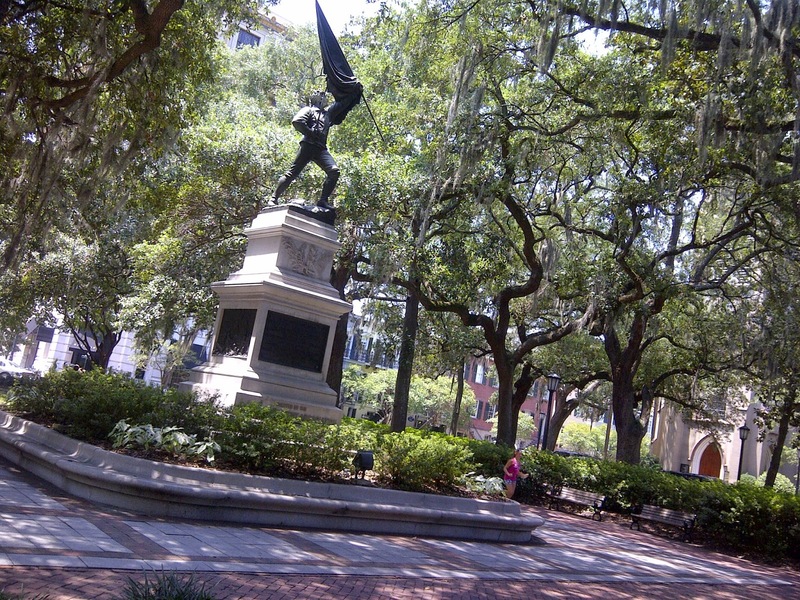 Savannah, Georgia USA. Unveiled February 22, 1888. When visiting modern-day Savannah, "Hostess City of the South", we invite you to do more than peer into the windows of Savannah's restored 19th century homes. Book your lodging with us to enjoy an immersive experience in Savannah culture, including entertainment, food and southern storytelling. Check for a Ceili (pronounced kee-lee), an Irish word meaning party, specifically one with live musicians, dancing, or general merriment. Some of our Romantic Inns will be hosting one for their lodging guests, or the innkeeper will point you to the Irish pubs where one is surely going on ... not only during St. Patrick's Day festivities!